MOUTH ULCER SOS? TANTUM VERDE SOS AFTE WITH ARMANDO TESTA RESPONDS. 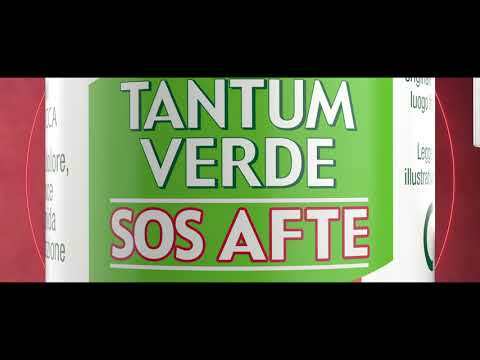 When a mouth ulcer launches an SOS, Tantum Verde is ready to respond! 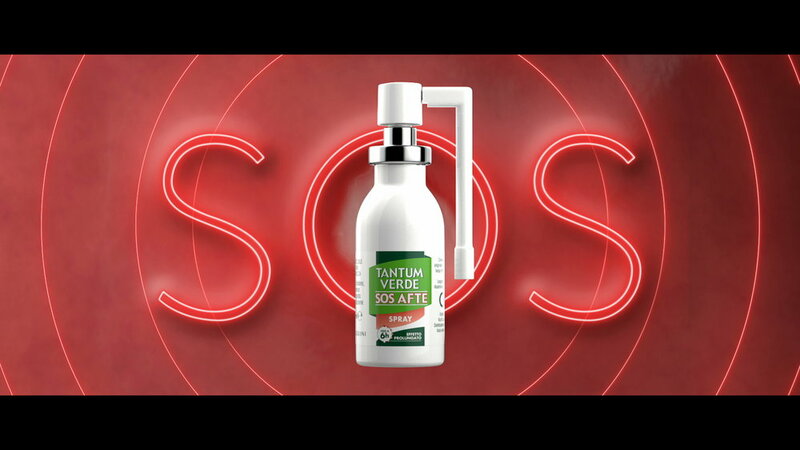 Tantum Verde presents its new Afte SOS range: Spray, gel and mouthwash. The launch campaign for the latest innovation from Tantum Verde: Tantum Verde SOS Afte, created by Armando Testa, has been on main TV channels (20”) and the web since Sunday 22nd July. In a gym changing room a girl reminds her friend of their dinner appointment, she gives a gloomy reply: "It will be hard, I’ve got a mouth ulcer!” Her friend who is clearly an expert, has a look at the ulcer and emphasises how painful it is with a: "Ah... this is an SOS mouth ulcer!" In the meantime, symbolic sounds typical of an SOS emerge from the mouth ulcer. The 3D demo illustrates the protective barrier the Tantum Verde SOS Afte spray leaves: it quickly reduces the pain by creating a protective film with a prolonged effect of up to 6 hours. Next we see the two girlfriends having dinner with their husbands at a restaurant. The protagonist, relieved of the pain caused by the ulcer, is relaxed as she enjoys her hot, tasty meal. The film closes with the presentation of the complete AFTE SOS range and the guarantee of the Angelini brand. With creative direction from Piero Reinerio, art director Laura Pelissero and copywriter Francesca Palazzo worked on this project. Directed by Marcello Lucini for production company Little Bull.